NEPAL. Katmandu. 2005. Tara Bhatarai, a teacher from a rural village that fell out with the local Maoists. He was dragged out of his classroom, and shot three times. 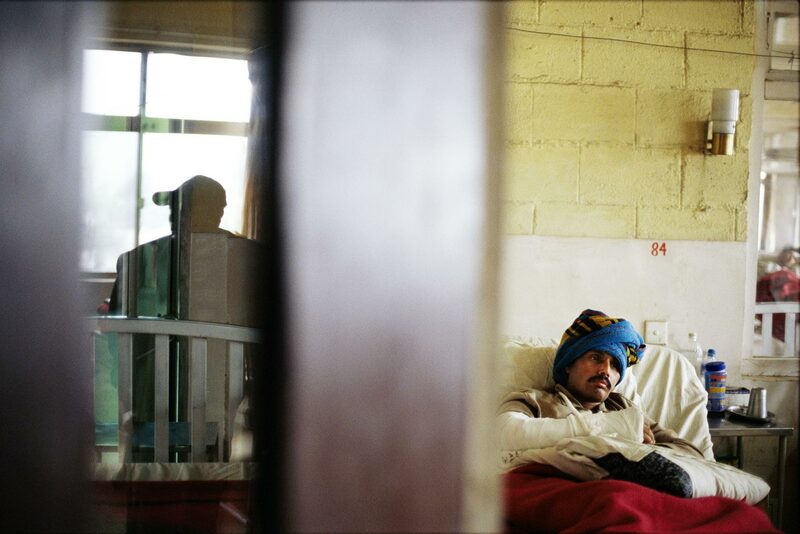 Recovering at a Kathmandu hospital, Bhattarai is one of many teachers targeted by the Maoists as government loyalists.